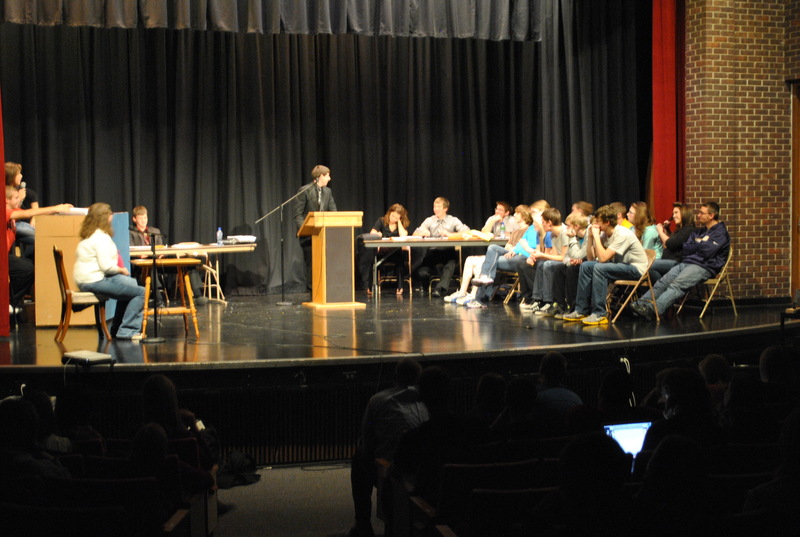 For the past five years, on the day before Thanksgiving break, the BCLUW senior class holds a Mock Trial as a culminating project at the end of a cross-curricular unit designed by myself (English) and Josh Ehn (Social Studies). This unit is designed to provide students an understanding of how our legal system works, as well as job prep skills. The government side of the project is taught by Mr. Ehn who also decides the roles each student will play and the court case to be tried. Students interview for positions from judge to jury members highlighting the skills and qualifications they have gained in high school that makes them the best candidate. In English class, students create resumes based on real information, a necessity for graduating seniors. They also learn the fine art of writing a letter of application in hopes that their words and experience stands out in order to receive an interview. Finally, with the help of teachers and community members, each student is given a time and location for an interview. This is a fantastic Project Based Learning example that helps blend learning from different departments. Students are challenged to express their skills on the resume, and the interview provides much needed experience with a bit of added pressure. We want to thank the following community members for donating their time to support BCLUW students: Shane Tiernan, Darla Ubben, Doug Benjamin, Denise Hoy, Mike Payne, and Jayne Katzer. It was another successful trial, the students had fun, and the defendant was found GUILTY… Next year we are looking for challengers, any school interested?